"The songs on 'Roll With The Punches' – whether I’ve written them or not – they’re performance oriented. Each song is like a story and I’m performing that story. That’s been forgotten over years because people over-analyse things. I was a performer before I started writing songs and I’ve always felt like that’s what I do." 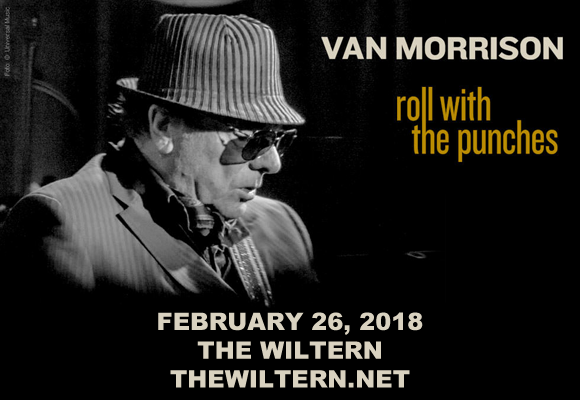 Northern Irish singer-songwriter, instrumentalist and producer Van Morrison began his career in music in the late 1950s when he was a teeenager, playing a variety of instruments including guitar, harmonica, keyboards and saxophone for various Irish covers bands. Morrison found popularity in the late 1960s when he was the lead singer of Northern Irish R&B band Them, and he had widespread success in 1967 with his debut solo single “Brown Eyed Girl”. Morrison had several hit albums throughout the 1970s, beginning with his 1970 album, Moondance. Throughout his career, Morrison has received two Grammy Awards, the 1994 Brit Award for Outstanding Contribution to Music, and has been inducted into both the Rock and Roll Hall of Fame and the Songwriters Hall of Fame.